The web is a constantly evolving platform for business. 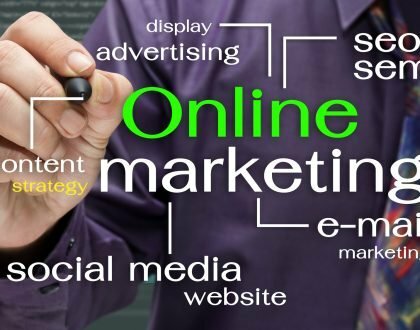 Unpredictable standards and search algorithms mean you may lose business if you don’t get the right digital marketing solutions. A big change can happen without you knowing it, and suddenly your rankings drop. And your traffic follows suit. You have to get familiar with the concepts of digital marketing and stay up to date if you want to survive. As an entrepreneur, you want to focus on your product and ways to make it more profitable. Right? But the marketing side needs plenty of attention. 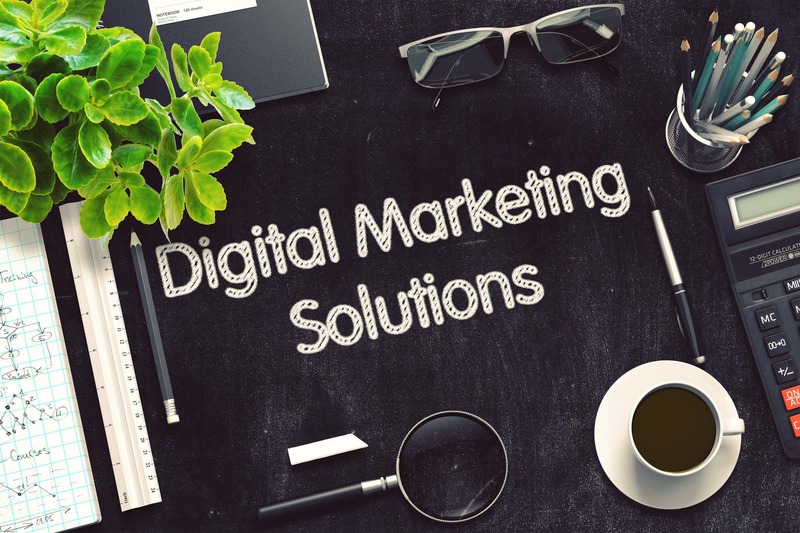 You may not need to know everything, but this list will show you 10 must-know digital marketing solutions for your business. The concept of SEO is shrouded in myths and misunderstandings. Many still have an outdated idea of what it entails, others believe it’s simply a thing of the past. Some of this is understandable since Google made more than 600 changes to their search algorithms last year. Another common misconception is that SEO is a single project you do and then you’re done. But SEO is never really finished. As long as people rely on search engines and search engines are modified regularly, you need SEO experts to stay relevant. The more the search engines and the web in general evolve, the trickier it gets to stay optimized. Many changes to search algorithms happen silently, most businesses don’t notice them. Sometimes a change is so drastic that it quickly changes the rankings and flips winners and losers. You don’t need to know every concept and detail regarding search algorithms. But you ought to recognize its importance and get help from experts who do know. Over the last year, mobile-friendliness and mobile SEO have been the focus of search engine updates. You can no longer get away with websites that don’t cater to mobile users. The longer you wait to prioritize this task, the more your business will suffer. The masses live through their smartphones these days. Anything they want to find, they search for on their mobile device. They will expect a functional and comprehensive website experience regardless of device. This is not some warning about the future, we’re already past the point where mobile SEO trumps desktop SEO. When it comes to modern digital marketing solutions, few things are as important as responsive, mobile-friendly design and mobile SEO. Many major companies are investing a fortune in these digital marketing solutions. But it’s just as important for smaller businesses, and you can get it a lot cheaper. 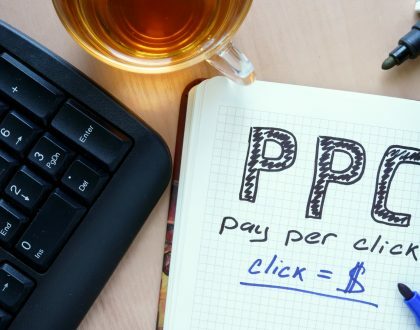 Many business owners and older advertisers are still stuck in outdated pay-per-click tactics. The market has evolved, and it takes more than a commercial link to get customers. A simple ad that’s merely promotional will make people think “this is an ad” and ignore your posting. Information and other valuable content will pull people in and establish a sense of trust. Informational is the new promotional. Answer people’s questions, draw the right prospects in, present them with what they seek. The old method of dumping more funds into crude PPC advertisement is so inefficient that it’s hard to believe people still try it. It’s like random searching in the dark. This money is better spent defining and targeting the right people in an attractive way. Get more efficiency and conversions out of the ads you have. Don’t keep pumping out more inefficient ads. Find out what speaks to your target customer, how they communicate, and where they hang out online. From there you can make your marketing more appealing to the target audience and turn them into customers. The ads themselves are a small element of online marketing solutions. It’s more about how you get them out to the prospective customers. This means solid branding and social media mastery are important. It takes more than sprinkling keywords across your sites. It takes more than a big following on Twitter. Do your ads get attention? Do they lead new people to your site? Do they stay on it? Do they buy? Do they come back? You must engage the consumers in a number of ways and convert them to buy, or the advertising is pointless. It’s a lot to keep in mind, but you don’t need to understand it all. Just recognize the basics and the importance. There are specialists who can help you, for a great ROI. Ads and activity across the popular platforms won’t create a stream of customers on its own. Nor sales funnel for it to run through if your content isn’t great. The articles, pictures, statistics, and tools on your website are what it’s all about. This is what the web is for, this is what people seek. Great content draws people in and gives them what they seek. From there they buy your service and/or spread your content to other people, getting you more free marketing. 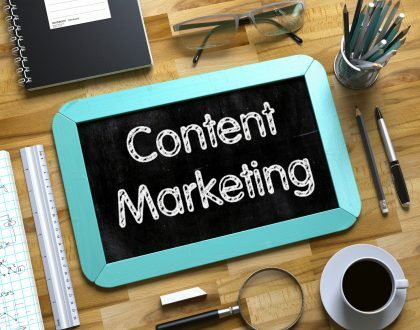 Improving your content strategy will boost traffic very fast. You may even see it multiply within a month. Valuable, sharable content packed full of the right keywords is much more attractive than stale ads. You need strong content to matter on the web. Social media use makes up more than 30% of the time consumers spend online. Entrepreneurs must embrace this platform and integrate it into your marketing strategy. If your business isn’t on social media, you must bring it there. Targeted digital marketing solutions that cater to your main prospects is the name of the game. For this, you must know which platforms your customers use to find content. You should also figure out what they like, share, and retweet. Managing a dense web of social media channels can take a lot of time and effort. But there is software that helps with this. You can sync your channels via apps like Buffer and Hootsuite to make it easy and efficient. With just one login and dashboard, you can do it all in short time. This lets you rapidly increase followers, build your brand, engage your audience, and track campaign success. If you’re marketing a startup, you may cover your needs with free software. Later on, you’ll need the fire-power of paid versions. Or, even better, a specialist who can handle your digital marketing solutions. When working on blogs and social media profiles, it’s a great idea to share great, reputable content from others. They should be relevant experts and success stories, but not competitors. This helps establish trust with your audience and deliver more content without working more. It can also help build connections with industry experts. Rather than simply sharing and retweeting, make it a marketing channel. Add a brief personal reflection and a call to action to get more visitors. Especially if your share goes viral. Surveys provide a good channel for engaging customers and gathering useful information. This gives you more insights into your business success. Done right, it can be one of the most efficient and cost-effective digital marketing solutions. This allows you more growth with your brand. Remember: if the brand isn’t growing, it’s shrinking. As an entrepreneur, your brand’s growth is everything. Social media is a great platform for surveys, with profiles steadily increasing for more than 10 years. You can publish your custom surveys and analyze the results with ease. You may think this is an outdated system, but mailing lists are as important as ever. Two keys to finding success with business mailing lists is to use targeted lists and customize the messaging to them. Social media presence is limited to those particular platforms. This doesn’t always let you move prospective customers down the sales funnel. You don’t have much control there. Email provides a channel for direct and personal interaction between seller and buyer. This opens up more leads and keeps customers returning. Reliable digital marketing solutions don’t neglect traditional marketing foundations. After all, marketing is marketing. Don’t abandon the roots. People don’t want a piece of plastic or a bunch of computer code. They want an experience, a feeling, a personality or attitude. This is what good branding is all about. Your logo should embody this idea and act as your company’s face to the world. It should communicate immediately what you’re all about. Big corporations have invested a lot in their memorable logos. This lets consumers relate and identify with your brand. Don’t disregard this, it’s hard to establish your business without a solid logo. It should have an appropriate, memorable design with a meaning. These digital marketing solutions should be left to an experienced professional. Just like a logo, a well-defined slogan or catchphrase summarizes your brand and makes it catchy. A meaningful, memorable phrase for your brand and for each major product or service will remind people and help spread the word. Look back to your original mission statement. What inspired you to start? Craft it into a slogan. Use it to generate buzzwords. Think viral. Catchy, shareable hashtags should be kept in mind. Use this opportunity to project the attitude and personality of your brand. Be smart and work some SEO into each catchphrase. Keeping track of the competition and the ever-changing search engine algorithms will quickly become a full-time job if you want to get ahead and stay on top. Instead of practically working another job, why not hire someone who already knows the art? At California SEO Professionals, we know digital marketing solutions! Contact us today and let’s get started. Did you get your FREE Website SEO Audit? Enter your URL and see how optimized it is for one keyword - takes about 60 seconds.